In January 2017, the House of Commons Select Committee on Culture, Media and Sport launched an inquiry into fake news. As is usual with such inquiries, the Committee invited submissions from interested parties, prior to compiling a report – which we hope will be published later in the year. InformAll, in collaboration with the CILIP Information Literacy Group, submitted a response in March. Not only is this inquiry timely, but it is directly relevant to information literacy. Indeed, one of the questions posed by the Committee in its call for submissions was ‘How can we educate people in how to assess and use different sources of news?’. Much of the current debate in this area is articulated around what Google, Facebook and others do to limit the spread of fake news, for instance through changes in their algorithms. But although these often technological approaches are undoubtedly important, they fail to address the place and responsibility of users as consumers, creators and sharers of information. So the question we are posing is how people’s fundamental beliefs and commitments have an impact on the way that they relate to information and news; and what might be done to help them become more judicious in their approach to information and mis-information. This is where information literacy comes in. In confronting fake news and misinformation, the search for evidence – founded on enquiry, questioning and research – is more relevant than the notion of truth. 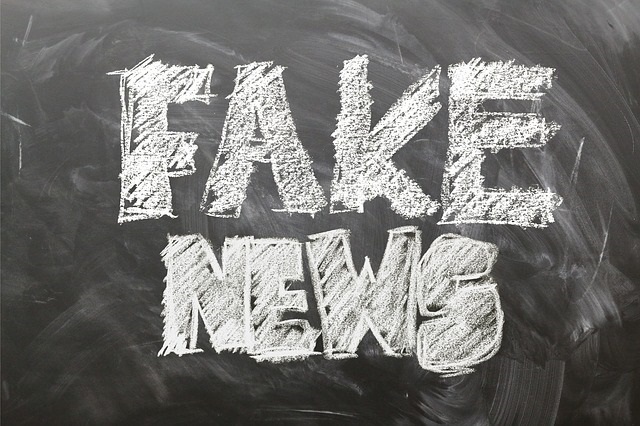 Truth is a subjective concept, and is not a helpful term when trying to address the challenge of fake news; it follows that the expression ‘post-truth’ is equally unhelpful. A major part of any solution is a greater emphasis on the teaching of critical thinking, associated with information and digital literacy, in secondary schools – something that does not currently feature prominently in the curriculum. School students’ attitudes and practices towards information are often sorely lacking, but there is evidence to suggest a more discerning mindset can be fostered, given the right sort of interventions. By and large, public policy in the UK does not properly address information literacy, and the recently-published UK Digital Strategy, in spite of its thinking on digital skills, conspicuously fails to touch on how to foster more critical and questioning approaches to online information. Psychology can go a long way to explaining people’s propensity to believe fake news, and people’s powerful attachments to what they believe to be true can breed attitudes that are very resistant to evidence and facts. Cognitive factors are important in determining attitudes to information. In due course, we will be able to set out our arguments in more detail. In the meantime, it’s worth keeping an eye on the Select Committee’s web pages to monitor progress with their inquiry.